Franklin's holiday celebration is held two Saturday nights in downtown Franklin. November 30 and December 7 will feature living window displays, free wagon rides, tree lighting ceremony, music and more. The Town of Franklin presents Western North Carolina's largest celebration of Autumn featuring the World Famous Pumpkin Roll, contests, nearly 100 arts & crafts, food vendors and so much more! Parade begins at 10 am in Historic Downtown Franklin featuring live street performers, music and more. Pat is suffering from kidney failure and is currently awaiting a kidney transplant. All monies raised will go toward medical and household expenses. We will have music, raffles and much more. Franklin's holiday celebration is held two Saturday nights in downtown Franklin. November 24 and December 1 will feature living window displays, free wagon rides, tree lighting ceremony, music and more. Parade begins at 10 am in Historic Downtown Franklin featuring live street performers, music, free watermelon and more. Merchant sponsored festival highlighting Franklin's Appalachian Heritage with live heritage demonstrations, music and more on Main Street. Craft show held October 11 & 12 from 10 am - 5 pm and October 13 from 10 am - 4 pm. Free admission but asking for a can of cat food donation. For information contact Chris at 706-490-5144 or Vicki at 828-349-4324. Join us for Andalyn's "Main Attraction Tour" at the Lazy Hiker, 188 W. Main Street, Franklin, NC. Yoga in the Brewhouse led by Beyond Bending's Jen McIntee. Free to the public. Information and link to website for event: Tyler Cook will release and sign copies of his latest novel, Vigilante. Vigilante is the second book in The Aluria Adventures, and follows the story line from Aluria. 50 - 55 Crafters with handmade items will be on display. Food will be available. Free admission. Open October 12 & 13 10am - 5 pm and October 14 10am - 4 pm. For more information contact Vicki at 828-349-4324. 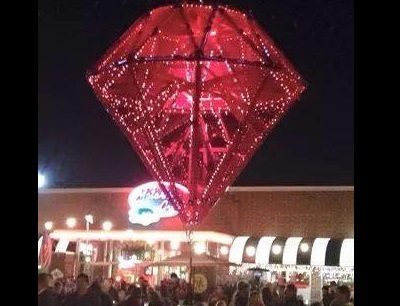 Franklin's holiday celebration is held two Saturday nights in downtown Franklin. November 25 and December 2 will feature living window displays, free wagon rides, tree lighting ceremony, music and more. Join with the Town of Franklin as we salute our hometown heroes with a parade and ceremony. Parade at 10:30 am and ceremony at 11:00 am at the gazebo on the square. The Macon County Senior Games is part of the North Carolina Senior Games. For more information visit MaconCountySeniorGames.com or contact Linda Beal at 706-782-7614 or Joe Holbrooks at 828-349-2090. Enjoy "Calvin Get Down" concert at the Lazy Hiker. Enjoy David Beam, acoustic guitarist in the tap room at the Lazy Hiker. All proceeds support the Appalachian Animal Rescue Center. Auction items include: household, furniture, collectibles, antiques and more! Community picnic for all households in the Sugarfork district and former students of the Pine Grove School located at Peeks Creek Road and Highlands Road. Bring a dish to share and enjoy the day with friends and neighbors. Join us at the Lazy Hiker Brewing Company for a rockin new talent on the rise - Andalyn in the Taproom. For more information call 828-349-2337. Join us at the Lazy Hiker Brewing Company for Original Americana with The Freeway Revival in the Taproom. For more information call 828-349-2337. Join us at the Lazy Hiker Brewing Company for DJ Justin Moe with some blow your mind old school to new. For more information call 828-349-2337. Join us at Mason Mountain Mine and Cowee Gift Shop for an evening of midnight mining. You don't want to miss our Coke Float Bar either! Fun, family atmosphere! For more information contact 828-524-4570. The Christian Training Center International is sponsoring the 1st Annual CTCI's 5k Walk for God, Country and Family. CTCI seeks to restore the family unit, which in turn, undergrids the foundation of our country's welfare. Reggae Sunsplash at the Lazy Hiker Brewing Company. Join us in the yard for Positive Mental Attitude at 8:00 pm. DJ Justin Moe will open at 7:30 pm. For more information contact the Lazy Hiker at 828-349-BEER. See antique tractors and engine. For information contact Wayne English at 828-421-1948. 'Aluria' is Tyler Cook's second novel and third book. This will be the first installment in "The Aluria Adventures" and will be a story about heroism, love and hope. Preorder your copy by calling 828-369-7942. Local faves return to the Hiker! Join us as we host The Remnants for the most excellent Rock & Roll in the Yard. Drop by the Lazy Hiker Brewing Company for a progressive funk rock concert with Porch 40 and special guest Kick The Robot direct from SXSW. Free admission. Free to the public. Rocks, minerals, rough and cut gems, jewelry, beads, supplies and more. For additional information contact VanderWoude Properties at 828-369-6341 or email vwproperties@gmail.com attention Ruth. This free program covering the art of making bread will begin at 6:#0 pm. All are welcome to bring a covered dish to share at 5:30 pm. For additional information contact 828-524-3691 or visit www.uufranklin.org. A Pancake Breakfast fundraising event for Macon TRACS held at Fatz. For more information contact 828-349-6262 or visit www.macontracs.org. A.T., a Local Treasure, learn about the different trail systems in Macon County and plan your next hike with your friends/family. Fpr more information call 828-349-7676. All profits go to Shrine Hospital. Event held at Shrine Building on Bethal Church Road. For additional information contact Natalie at 828-342-7535. This BBQ Fundraiser is presented by the Smoky Mountain Shrine Gems. BBQ dinners will be delivered to businesses from 10am until 1 pm. To order call Natalie at 828-342-7535. Points Horse show presented by the Macon County Horse Association. Rain Date will be April 17.